To move up the corporate ladder it becomes progressively more important to develop a keen awareness of business etiquette. There is no substitute for good manners. As part of your leadership development, it would be wise to sharpen your business etiquette skills. 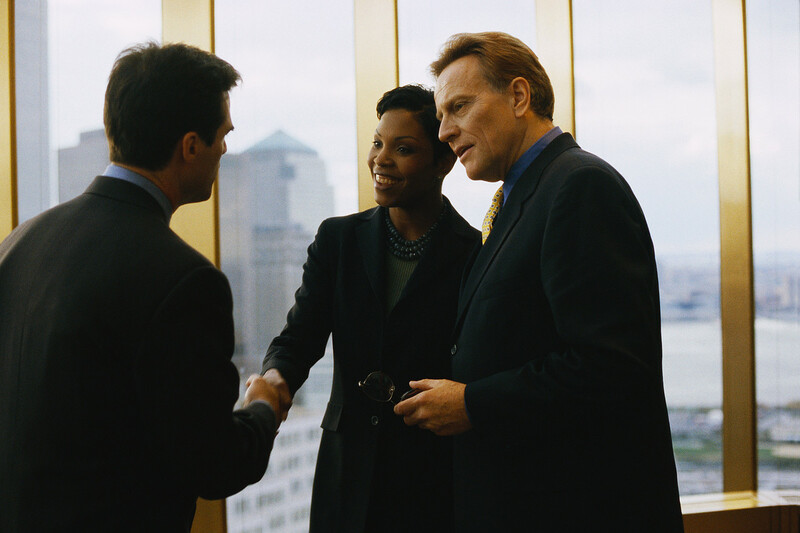 During an introduction, introduce the lower-ranking person to the higher-ranking person; e.g. refer to the higher ranking person first (CEO) "Mr. Smith this is (accountant) Mr. Oldham." If you forget a name simply say "I'm sorry, your name has just slipped my mind." Give a firm handshake with direct eye-contact; setting the stage for a positive encounter. With all the electronic forms of communication that we have access to, giving us the capability to reach people 24/7, keep in mind to respect others' private time. Take you to a "business etiquette" test, where you can find out how savvy you are in handling certain business situations you may come across. The trend toward globalization provides many opportunities to interact with people that don't necessarily come from your own culture. Open up your horizons by finding out about how other cultural orientations conduct business. Are today's mobile devices wrecking havoc with our manners? Are public phone conversations on your cell, texting, sexting and the like turning us into mannerless boors? It may be more than that according to Larry Rosen, author of I.Disorder. These devices could be contributing to such mental illnesses as obsessive-compulsive disorder. He offers suggestions on how to avoid these pitfalls in his new book.